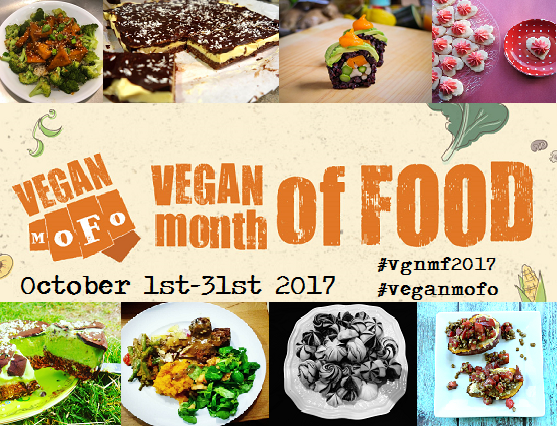 The countdown to VeganMoFo 2017 is on! Hopefully you’re reviewing the prompts or choosing your theme and getting prepared. In the meantime: sign-ups are open! Click here to participate – your deadline is 22nd September 2017. If you want to be included in round-ups and blog-rolls, you need to be officially registered, so make sure you don’t miss out. Just like last year, you can sign up with your blog, Instagram, or any social media you like! Are late signups ever accepted? I certainly understand if they aren’t, but thought it would be worth checking! Thanks either way ? That was supposed to be a smiley emoji, not a question mark. Clearly I am a huge technological asset, ha! If you can give us your info in the next few hours, I can add you to the list. You need to send an email to veganmofoblog@gmail.com asap!